HomeGold IRA BlogGoldAt What Age Should You Start Saving for Retirement? At What Age Should You Start Saving for Retirement? Everyone needs a retirement fund. When you’re young, it is easy to disregard the idea of old age. Growing older isn’t something people love to think about, but it is imperative to do so. In order to ensure a good quality of life in your golden years, action must be taken now. Don’t be fooled into thinking you can put off retirement planning for another day – the time to start saving for your future is now. So at what age should you start saving for your retirement? Many experts recommend beginning a retirement savings account in your 20’s or 30’s. However, why wait that long? It’s a fantastic idea to start saving for retirement from your very first paycheck. If you’re currently in your 20’s, 30’s or even beyond, there is no better time than the present to start saving. The longer you give yourself to save, the more you can amass. Through the amazing power of compound interest, your money will grow throughout the years. So don’t wait another day. What if you’re in your 40’s, 50’s or even 60’s and haven’t been saving like you should? Don’t throw in the towel or fall victim to despair. There’s still time to build a reasonable nest egg if you start right away and invest wisely. The first step is making a commitment to saving for your future. From there, it’s all about contributing regularly to solid investment accounts. Although there are plenty of options when it comes to investing for retirement, the individual retirement account (IRA) is the one you should focus on. An IRA is a tax-sheltered investment that can grow exponentially over the years. However, don’t rush to place your trust in an IRA backed by a fiat currency. Fiat currencies are based on faith rather than anything tangible, and unfortunately, all of the world’s currencies are fiat currencies — including the United States. Instead, invest in a gold IRA. Gold offers the security that paper money never can. 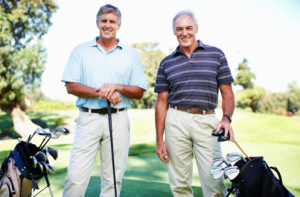 Why trust your retirement to anything less than gold? Gold is a commodity that can be easily liquefied when needed. What’s more, when paper currency loses its value gold stays strong. Even in the event of an economic collapse, gold owners would be safe because gold has worth all over the world. Unlike paper currency, gold cannot be debased. If you already have an IRA account based on paper currency, it can be rolled over into a gold IRA. With a gold IRA, you’re purchasing actual physical gold such as coins and bars. Despite its tendency toward fluctuating prices, gold is still the most solid investment you can make. No matter what happens to the dollar, you’ll have an investment that you can count on when you choose a gold IRA. Don’t wait any longer — start saving for retirement now so you can reap the rewards later!